A lot of Filipinos dream on working abroad. It is a fact that other countries offer better compensations than here in the Philippines and most Filipinos grab the opportunity if given one. The total estimated Overseas Filipino Workers is at 2.3 Million as of 2014 data according to Philippine Statistic Authority. There is only one reason why Filipinos choose to work far from their homeland, it is to support their families and save some for their future. But how long will it takes before they can go home and enjoy life here in the Philippines? Well, it depends on how smart they are in saving. 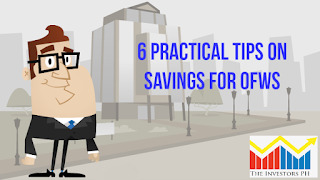 Here are some practical tips on how OFWs can increase or maximize their savings. If your job does not offer free accommodation, then renting a place alone can eat up a huge chunk of your income. 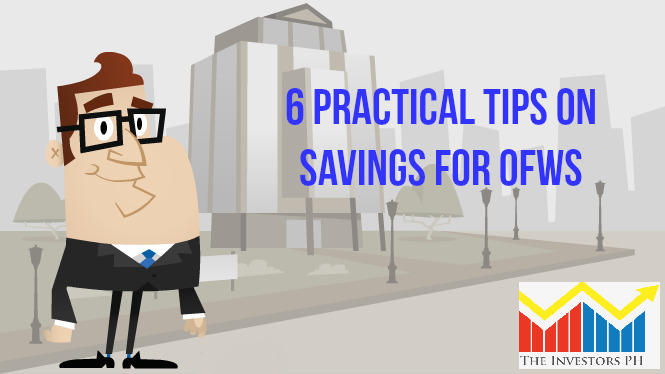 Sharing a room with a fellow OFW can cut your rent expenses into half. If you can manage to rent a whole flat or apartment then you can have it subleased - your rent can be reduced significantly or possibly earn some few bucks. Eating out can be expensive in the country your staying. Having your own cooked meals is better as it can be up to 50% cheaper and best part of it you can enjoy your favorite Filipino dishes. It is important to set a budget on your daily expenses and stick to it. Having leisure from time to time is not bad, after all you deserve to treat yourself after a hard work, just ensure that it is within your limit and your savings will not suffer. Avoid vices as well. Lessen your alcohol intake or try to quit smoking, you will be surprise how much more you can save if you have no vices. Filipinos are gumptious or resourceful in nature. You can do a part time job during your off days. It can be simple as selling Filipino delicacies or just through driving services. Take some gigs on nights - we are great singers after all. Maybe some tutoring or baby sitting. I'm sure you will find one around. Filipinos loves to fill up their boxes with goodies for their loved ones in the Philippines specially on Christmas season. But it is also important to be practical on this. Are you sending things that really needed by your family? Are these cheaper than in the Philippines? Remember also to ensure that items will not be subjected for additional taxes in our country. There are lots of investments opportunities for OFWs. It is a matter of finding the right one for you. Before making an investment, ask around and do some research. There are so much information you can find in the internet. One thing you need to keep in mind, avoid investment fraud. If it is good to be true then probably it is a scam. Take time to verify their licenses and authenticity. Sadly, OFWs are often targeted by on-line scams.